Black and green colorway spotted in Beijing. 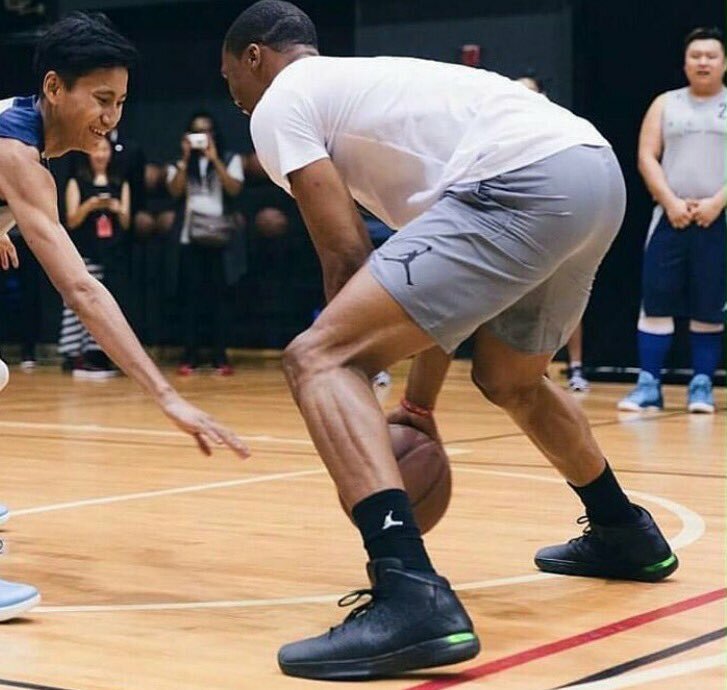 While on tour with Jordan Brand in China, Air Jordan 31 lead Russell Westbrook is breaking out exclusive colorways. Earlier today, the All-Star point guard was spotted wearing a stealthy pair in black, with green trim, during a training session. While this colorway may see shelves in the future, this pair features Westbrook's logo on the tongues, designating it as a Player Exclusive. Keep it locked for more on Westbrook and Jordan Brand's summer tour.